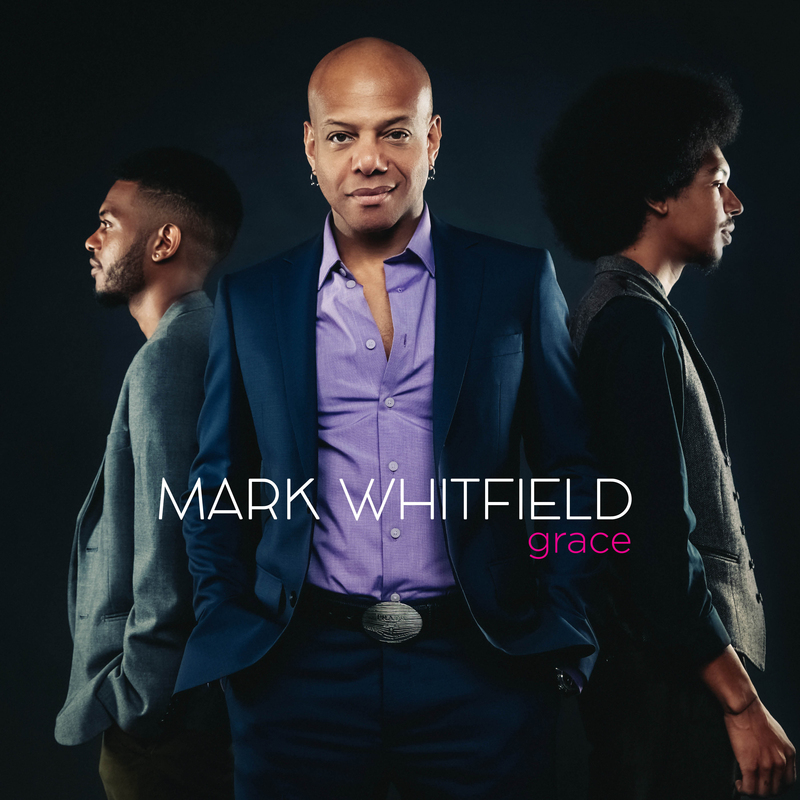 Review of guitarist Mark Whitfield’s new recording, Grace, which he will be celebrating for two nights, February 17-18, at The Django, Tribeca, NYC. Considering that Mark Whitfield began his career under the influence of Wynton Marsalis’s strict limitations on jazz, much of his work during the 1990s and 2000s is somewhat of a surprise. However, his newest release, Grace, both hearkens back to his roots and celebrates the guitarist’s long-ranging musical journey. Leading his sons Mark Jr. and Davis (drums and piano, respectively) as well as bassist Yasushi Nakamura, Whitfield explores post-bop, soul, R&B, pop and fusion (à la Herbie Hancock) while retaining the exciting voice that made him famous on his first album, The Marksman. Listening through Grace is much like listening to a playlist comprised of many different artists, except that Whitfield’s excellent guitar playing and Dave Stoller’s brilliant mix stand as constants throughout. There’s soul with the title track (augmented by Sy Smith’s silky voice and clever lyric), there’s pop with “Fortress” (which borrows a phrase from Michael Jackson’s ubiquitous “Rock With You”), and there’s swinging jazz with “Blue D.A.” For fans of groove, there’s plenty to be had here; odd meters and exotic syncopations can be found throughout the album, and the rhythm section is “happening” from beginning to end. Whitfield’s guitar style, while having certainly evolved over the years, remains as exciting and virtuosic as ever. Here, he sounds less like Wes Montgomery or Freddie Hubbard than he has before. The tinge of blues and Whitfield’s sense of time bears comparison to that of the legendary Grant Green (it doesn’t hurt that his tone sounds quite a bit like Green’s, too). Whitfield’s son, Davis, keeps up well with his father, and at times even “one-ups” him. His solos on “Blue D.A.” and “Double Trouble” are marked by a maturity seemingly beyond his age. Mark Jr. holds his own on the drums, navigating complex grooves with ease and pushing both Mark Sr. and Davis to the limits of their creativity. Some Whitfield fans may have difficulty consuming this album in one sitting. The album is well over an hour long and is, at times, less accessible than the guitarist’s previous projects. Yet for those who are willing to listen patiently and carefully, Grace is an exciting album that has something for all jazz fans, whether they be disciples of Marsalis or Return to Forever junkies. Age has been kind to Mark Whitfield, and this work finds him in joyous conversation with the next generation of jazz.